Let’s be candid here; many people don’t know what a professional event decorator does. We don’t blame them, though! When you hear that magical job title, you’re probably imagining someone standing on a ladder, hanging a banner up on the ceiling. While you will find yourself stepping in to help out here and there with table settings and floral arrangements, that’s not what you’re really hired to do. Simply put, your value lies in a far more difficult task: coordination! Clear as mud? Don’t worry, we’ve got you. 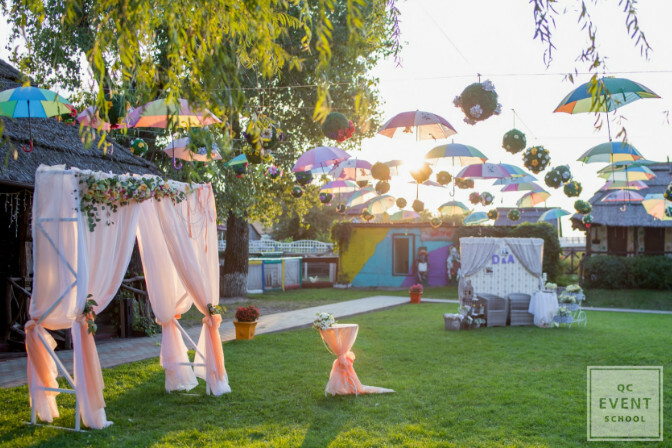 Keep reading to find out what an event decorator really does! As the event decorator, you’re responsible for the overall atmosphere of the event. Event decor is more than simple decoration. How guests feel when they walk into the venue will affect their overall experience, and afterward, how fondly they remember it. This is a highly creative field, but just having an expert eye for color or a sixth sense for finding vintage treasures isn’t enough. Any event decorator worth their salt will be a master of planning and coordination. Over the course of many consultations, you’ll work with your clients to develop and bring their vision to life. Each design element must make sense when brought together to achieve the overall theme and mood. Your clients’ goals and interests must be considered alongside the physical logistics of each event component. You wouldn’t push baseball theme decor for your clients’ 50th-anniversary celebration, would you? Diving headfirst into the business is possible, but not recommended. How would you know what to do or what’s expected of you without any proper training? Earning a professional event decor certification gives you a solid foundation of technical skills while allowing you to command a higher salary when you enter the field. Beyond learning the intricacies of each design element, you’ll also learn professional skills to enable you to work closely with clients and other professionals. And if you take a certification course with business training, you’ll even know how to start and run a successful business! 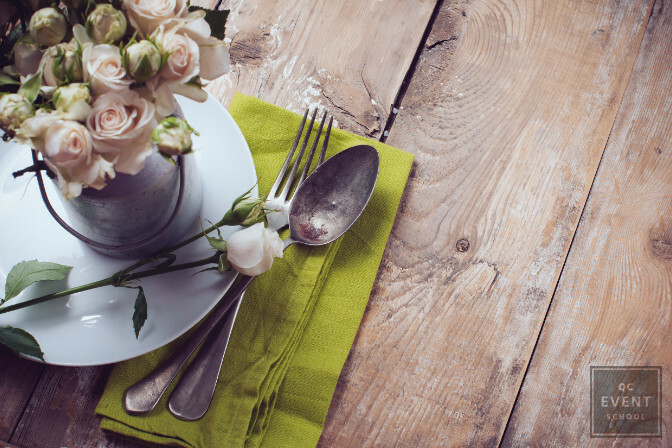 While you won’t be physically bundling the baby’s breath with the hydrangeas on the table, you will still need to know your stuff when it comes to each decor element. Just knowing that you should be using flowers isn’t going to cut it! You’ll need a working knowledge of each element so that you can communicate your clients’ wants and needs in a professional setting. 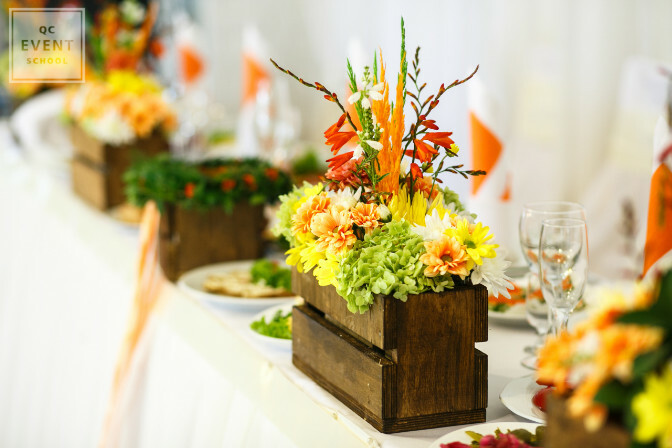 Your event decorating classes will teach you how to speak confidently to your suppliers about what your clients want. No supplier, no matter how much experience they have, can deliver if they don’t know what you need. Be explicit about the decor style you’re trying to achieve and tell them exactly what would work best. Do you want a posy vase or a handkerchief vase? 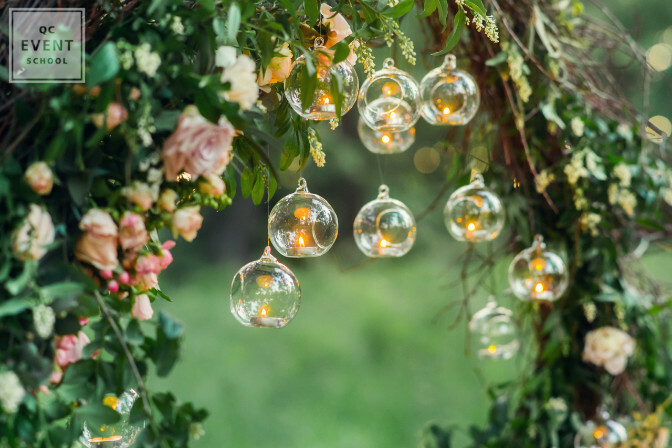 Would your event benefit from kinetic lighting or the soft focus of cheaper string lights? How extensive do you want your floral design to be? Even if your suppliers don’t have what you need, they’ll be able to pitch something else that’s similar. Remember that your suppliers aren’t in contact with one another. You’re the central touch point with all the logistical information. Each supplier has no idea what arrangements you’ve made with the others. They’re relying on you to tell them how much of everything you need and where to put it! If you don’t oversee each element carefully, you risk overloading a small space with too many decorative pieces. As an event decorator, you have two primary pathways available to you should you decide to grow your business. Being immersed in the same wedding timelines as the event planners and suppliers allow you to gain insight into those careers, too. As you do more and more decorating, you’ll see which aspect of the event planning process you enjoy enough to dip your feet into. Here are two sample paths. It turns out you love draping tables and implementing the little details. As such, you may wish to dive into the nitty-gritty of the decorating realm. When you’re not simply coordinating suppliers anymore, you’ll want to hire more hands. Not to mention having to come up with a solution for how you’ll stock your event decor inventory! As an event decorator, you’re managing many different suppliers for the big event. But when you dive into the world of event and wedding planning, you’re expanding your duties to coordinate vendors, too. Sticking to your client’s budget, coordinating with other parties, and working closely with your client to achieve their vision… does this all sound familiar? Throughout your decorating career, you’ll develop relationships with some vendors on certain elements of design. You may, for example, have a client ask you to apply a Disney theme for a child’s birthday party, right down to coordinating with the cake vendor. If you couple your good vendor relationships with strong professional training, there’s no telling how far you’ll go in your career! Did we miss any crucial information? Let us know in a comment! Things don’t always go as planned. Here’s our list of 9 wedding disasters and how to avoid them!